The story of Pata Rât has started more than five years ago. In 2010, the authorities forced the Roma community to leave Coastei street. Seeing no other alternative, they moved to Pata Rât, which is the dump site of Cluj. Around 300 families are living there in their improvised cottages. They must continue to live despite their circumstances. The story of the Roma community from Pata Rât has reached many people. Although some decide to remain ignorant, there are those who actually try to change or ease the situation of people living on the dump site. 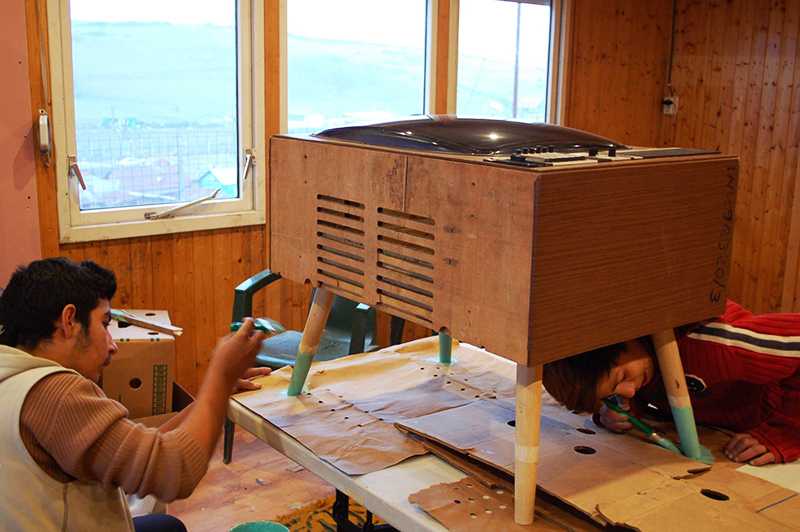 Visky Zsolt is a poet, restorer and carpenter who came with the idea to hold a workshop for the children in Pata Rât, where he teaches them how to make furniture. Zsolt always wanted to have his own place to create, and have his own workshop together with his wife Karen Joy, who is passionate about sewing. 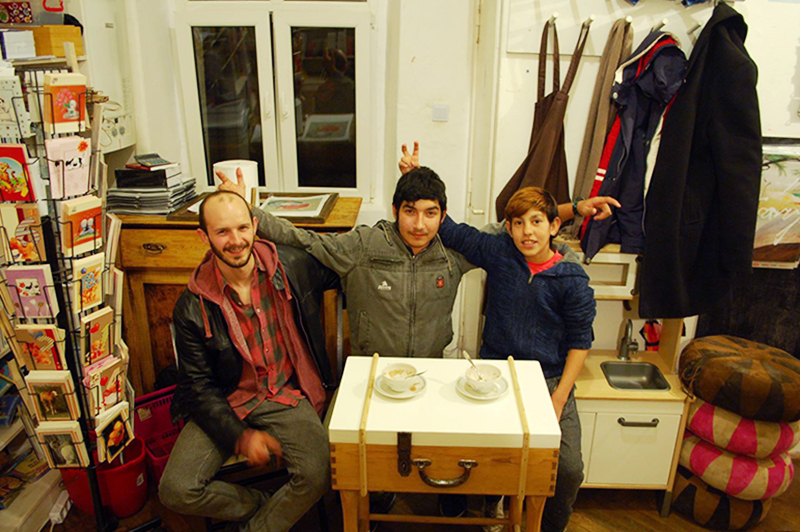 “We thought that we could combine our skills and make a sort of family business, I make furniture and K.J., my wife sews”, said Zsolt. Since then they meet with the children once or twice a week to create something. Initially, many youngsters showed up to the workshops. However, there were only a few of them who were actually interested. 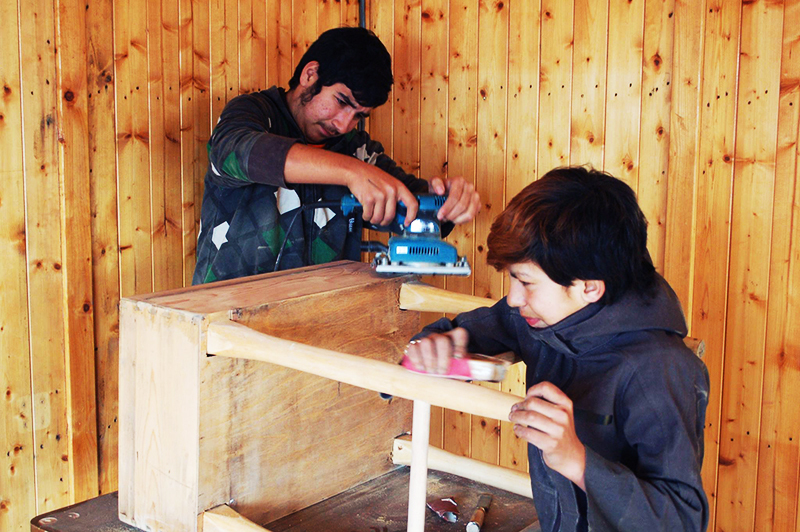 Thus, the workshop is usually held with 3 boys and 3 or 4 girls, who are around the age 12 and 13. “It was really hard to find girls who would come, or some of those who came were never really focused,” said K.J.. Despite this, for some of the children the workshop became important and they seemed to be motivated and willing to create something. 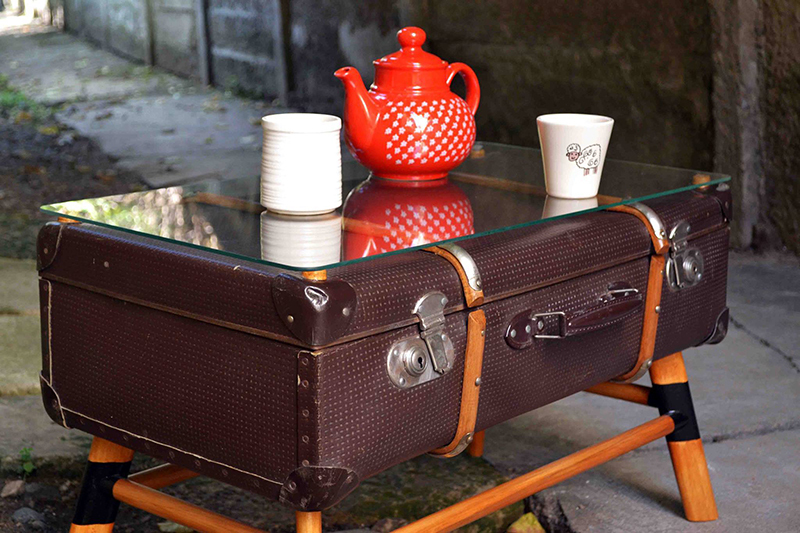 The girls are working with Karen, they make clothes or bags, while the boys create coffee tables out of old TVs or suitcases. “We get the materials we work with from friends or from the dump site. I found the TV for the coffee table in a pile of garbage,’’ said Zsolt. They are still experimenting with this workshop. However, their aim is to make it into a smaller business which will help the children to earn a living in the future. For now, they are trying to sell their products through online auctions, friends or acquaintances. The coffee table made out of TV was sold through the auction and the money they received was spread among the boys who worked on it. To sum it up, these children have the power to break stereotypes with their creativity and their willingness to create. That is to say, it is not unrealistic to think that in the future something bigger might come out of this small workshop.